Good morning! I'm trying to get back in the groove. If you follow me on Instagram you'll have seen that I have been oh so slowly working on a table runner from Sherri's book, Tablerunner Bliss. I cut myself a little kit like Elizabeth used to make me. 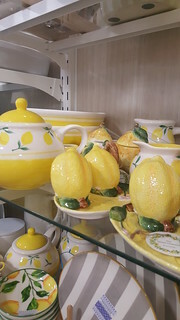 I fell in love with Brenda Walton's Limonella fabrics, particularly the lovely lemon focal print. 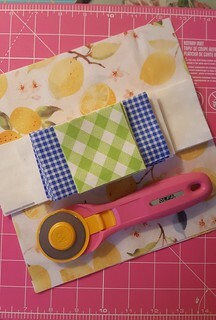 I paired it with a green gingham print my friend Sharon sent me, and the blue PKM mini gingham. 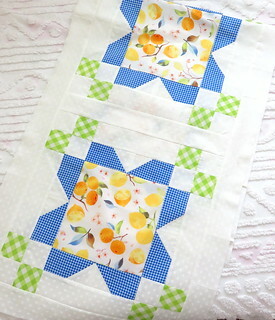 I chose this runner with the large block centers, all the better to show off the focal fabric. Of course it was quick and easy as well, which makes it a great fun project. I love how it turned out. Of course what always holds me up? FINISHING. 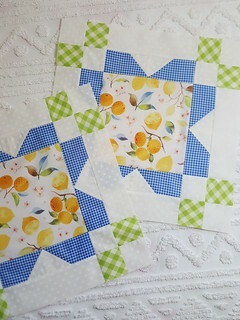 I never know what to do, and I know my machine quilting attention span is pretty short. BUT! I saw Miss Luella's wonderful log cabin quilt on Instagram and I think that wavy quilting would be perfect. I would only need to mark the first row, then use my walking foot with the guide on it to complete it. We'll see how fast I get on that! I have some ideas for other projects percolating in my mind and I might want to work on those next. 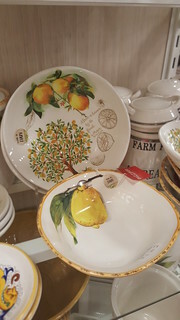 In the mean time, I saw these on a trip to Home Goods recently? Perfect right? Morning friends, how are you? 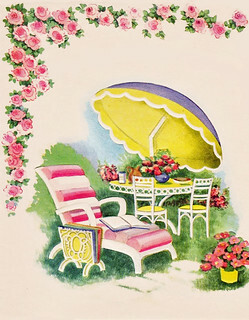 The sun is shining here in PamKittyVille and all the roses are blooming up a storm. I've been dead heading like crazy and hoping for a speedy second bloom. You can't beat an Iceberg rose for the wow factor. 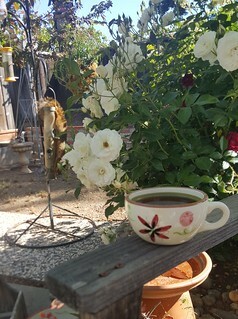 Monday morning I was using a cute little cup I brought home from mom's to have my coffee. It's old and stained with tea and I think she probably picked it up at an antique shop. 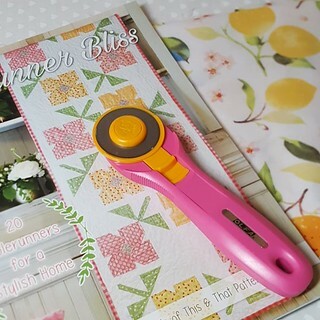 It's a cute design and it made me happy to use it. 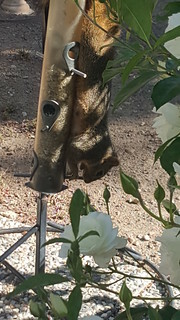 ANYWAY... when I walked out I saw the squired hanging off the feeder. I was sure it would run off while I tried to grab a picture. Nope. Then I went back in and got my camera, which turned out to be out of batteries, so I went back in and got my big camera, nearly out of battery so I went back out and got up close with my phone and that squirrel didn't bat an eye. Wow. I guess that's some excellent bird food.